A recent Florida case raised an interesting question that could be applicable to future probate litigation cases involving intestate estate where paternity is disputed. The Florida Supreme Court recently weighed in on the question of whether one can establish paternity when someone else is already presumed so by law. According to court records, a man claimed to be the father of a daughter born to respondent, as the two had been in a relationship for several years prior to the girl’s birth. However, the girl’s mother was also married to another man – a fact claimant said he did not know about prior to the child’s birth. Despite the marriage, the woman’s husband initially did not claim the child as his own, and claimant was present for the girl’s birth and supplied both financial and emotional support for the girl thereafter. Some time later, claimant asked a Florida civil court judge to declare him the child’s legal father. 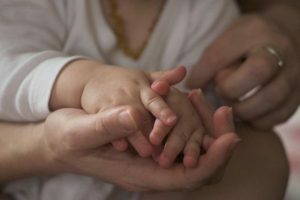 Both the girl’s mother and her husband objected, arguing a child born to a couple who is married is legally presumed to be the child of that couple. Trial court judge sided with the girl’s mother, finding that despite claimant’s evidence of paternity, he had no legal grounds upon which to pursue a paternity claim involving a child who was born in wedlock where the wedded couple objected. The Florida 4th District Court of Appeal reversed, finding there is a presumption of legitimacy when a child is born to a married couple, but that presumption is rebuttable, meaning if he can produce evidence of his paternity, claimant does have the right to do so. The girl’s mother and her husband asked the Florida Supreme Court for review, and that request has been granted. In its decision to accept the case, the court pointed out the different conclusions reached by other appellate district courts in the state on the same issue. The Florida Supreme Court‘s ruling came down on the side of the 4th DCA. In its decision, the court held that other courts that prior to this had adopted the legitimacy rule imposing an absolute bar to a biological father’s paternity claim when the child is born to a married couple was not necessary when previous case law had already established that even if a legal father is proven not to be the biological father, there must be a clear and compelling reason – based primarily on the child’s best interest – to overcome that presumption. As for probate litigation cases, such matters may be more difficult to resolve after the death of either the presumed legal and/ or biological father, which is why it’s best to discuss options with an experienced South Florida probate litigation lawyer. Call Fort Lauderdale Probate Litigation Attorney Richard Ansara at (954) 761-4011. Serving Broward, Miami-Dade and Palm Beach counties.